There’s a lot that goes into working with a developer. When I first started teaming up with designers to take care of their development I was convinced that the process was super simple, but I’ve seen that it can be a lot for people to take in – at least the first couple of times. However, I know that the process can feel a whole lot more intimidating to designers and it totally shouldn’t be that way! In fact, my friend Megan and I have created a complete system for making this process as easy as possible. 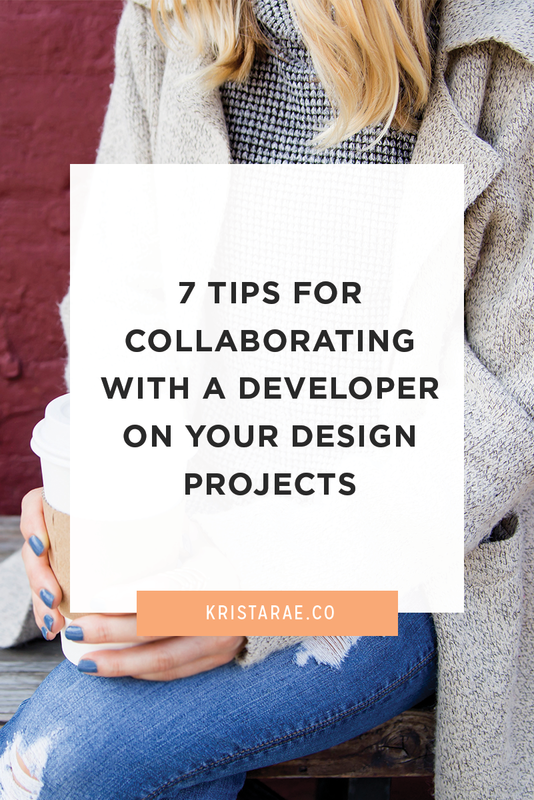 But to help make your first (or next) collaboration with a developer go smoothly in the meantime, today we’ll go over 7 quick tips for collaborating with a developer on your design projects. First of all, there are important decisions to make before you even think about getting started. The developer you choose can make or break a project, so it’s important that you do your research and get it right the first time. 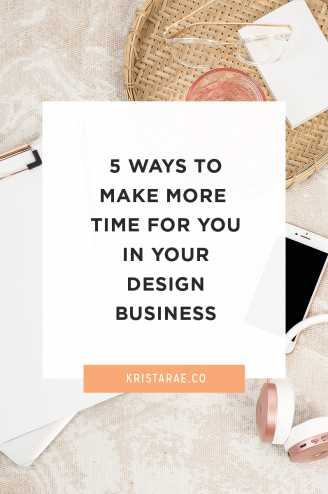 Finding someone new for any type of service can be intimidating, but when you have to trust that person with both your designs and your client’s best interest, those feelings of intimidation can be even more intense. When looking for a developer, make sure the person has past work to show off and testimonials from other designers. If someone hasn’t worked with a designer before, be prepared for some extra hand-holding, as it’s much different than working with general clients. It’s also tempting to find the cheapest developer out there. Just like with anything, you get what you pay for, so be sure to plan extra time to fix problems and bring in backup if you decide to go this route. Otherwise, paying a little extra for someone with experience and a solid process will always be worth it. Check out the From Mockup To Code Toolkit for more information on choosing the perfect developer for you – complete with a developer scorecard to make it easy to compare your options! A common issue with developer collaborations is timelines clashing. Experienced developers will work with you to decide on their start date and it’s important that the date is met and all mockups and content are delivered. It’s tempting to try to rush that date since clients always want to launch as soon as possible. But if something goes wrong in the design phase or needs an extra round of revisions, the entire project can be thrown off. To be safe, look at your general project timeline and add a couple of weeks before your developer is scheduled to start to be allow for a few unexpected things to come up during design and revisions. In case you’re not familiar with the term, the “scope” of a project details what all the project will include. For web design projects, think of things like how many pages are included, any extra features, costs, and final deliverables to the client. The more people that get involved in a project, the more important scope becomes. When it’s just you working with a client, it might be easy to throw an extra page in or add e-commerce capabilities when you hadn’t planned on it originally. But when you bring a developer into the mix, it’s important to keep them in mind as well. For example, adding something like a slider or extra page template that wasn’t discussed before the project will incur additional costs and likely extend the timeline. Depending on how far out your developer is booked, something like that may be a slightly bigger issue than you expected. Before the project starts, spend as much time as possible working with your client to make sure the initial scope is complete and if something comes up, chat with your developer before making promises to your client. This seems to be becoming less of a problem as the world of online creatives focuses more and more on processes, but it’s still worth mentioning. A lot of times, clients are in a rush to get a new website design completed. They expect that the website can be designed and developed while they’re working on their content and getting professional images ready. (I can’t blame them, that’s exactly what I did when I started this website). But doing things this way can cause a lot of problems once development rolls around and brings us back to revisions versus changes. I’ve had projects in the past that had to be partially redesigned (after development) due to the images that were provided once we were done. The client definitely didn’t expect the extra costs and time that came along with that. To be safe, if you don’t already, start requiring all content and images before your design phase begins to avoid problems down the road. In the past, I’ve had designers ask how long development of a custom site takes and gasp when I tell them that I like to schedule 5 weeks. The truth is, development isn’t a quick thing that can be rushed. It takes hours of coding, testing, and attention to detail. In fact, out of the last 5 custom projects I’ve done, development has taken anywhere from 40 to 70 hours of pure coding. That’s a lot! Not to mention time your developer needs to get things organized and manage their own business. Be patient with developers you work with. In fact, it should put your mind at ease when you hear that someone will take more than a couple weeks on a project. It’s a sign that they know what they’re doing, have experience, and plan to invest the appropriate time and energy into bringing your design to life. A big part of making sure the completed website is a perfect translation of your mockup is the revision stage. However, keep in mind that changes and revisions are much different concepts in the development world. Revisions are generally included in a project, while changes will cost extra. 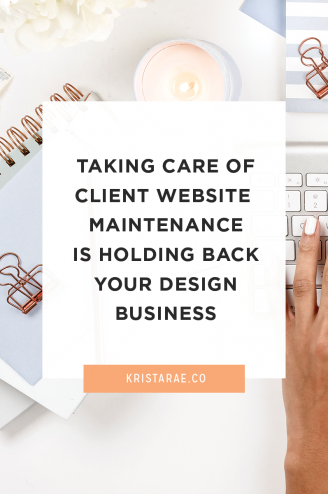 With design, there are occasions when your client can totally change the functionality of something without affecting your design or quote, while that same change would take your developer hours extra. A lot of times, changes and revisions are confused. With development, think of revisions as minor cosmetic updates, while changes are updates to the overall functionality or larger cosmetic updates that will take more time. Out of all of these tips, being organized with both files and communication is the most important thing you can do to ensure a collaboration goes smoothly. A smooth process, before you even begin your work, will ensure that your developer gets all the files they need when they need them and that no important information is lost between the client, you, and the developer. Not much is more frustrating for your client than knowing they explained something to you that didn’t get passed on to the developer. Use tools like Dropbox and Google Drive for organizing content and Asana or Trello for communication. Are you ready for your next collaboration to be an easy one? Keeping these things in mind for your next collaboration with a developer will help the process go much more smoothly. 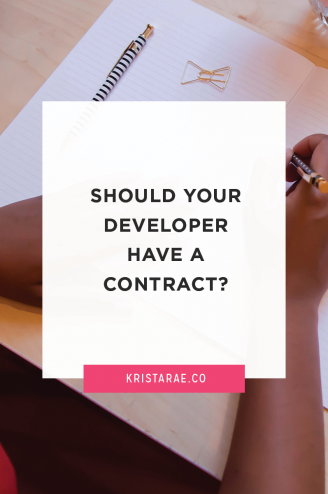 You may even choose to hop on a call with your developer before getting started to talk through these types of things to make sure you’re on the same page. 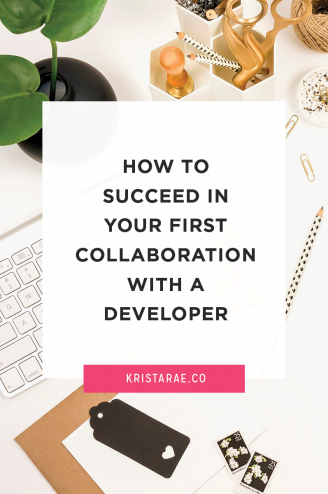 Along with the tips we went over above, it’s important that you feel confident when you go into your next collaboration with a developer. Grab the 9-step checklist that covers the things you can do to prepare for your next collaboration.